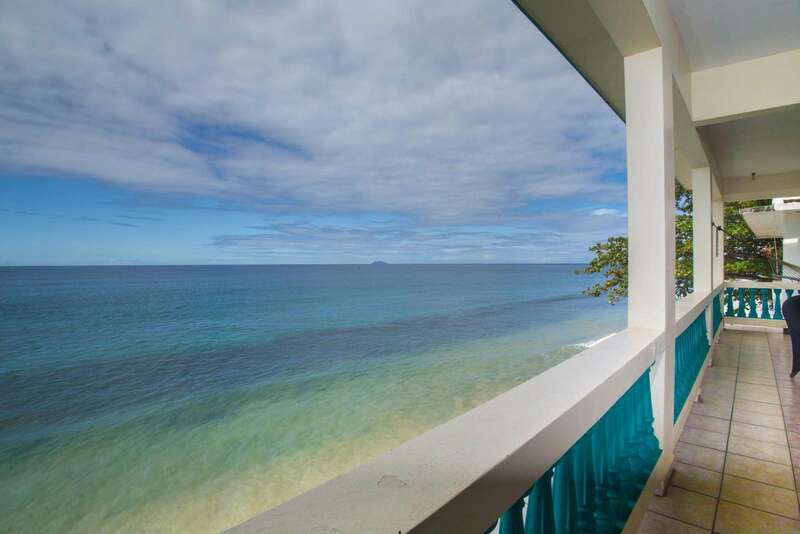 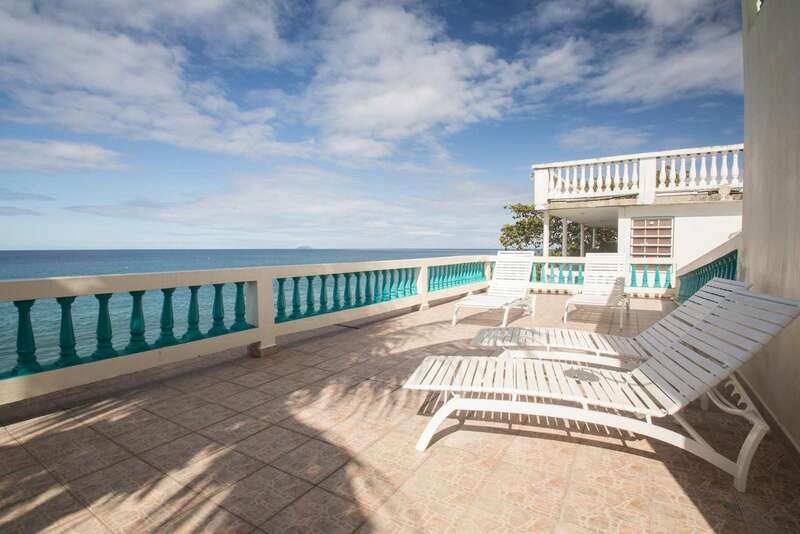 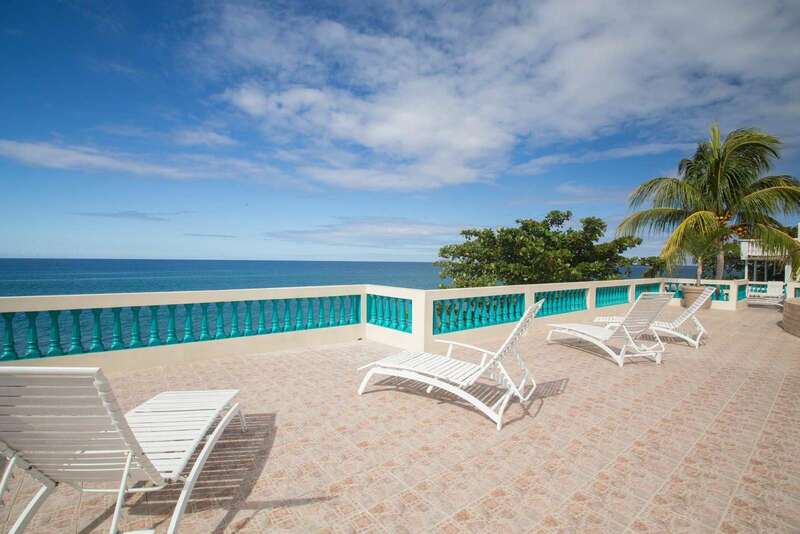 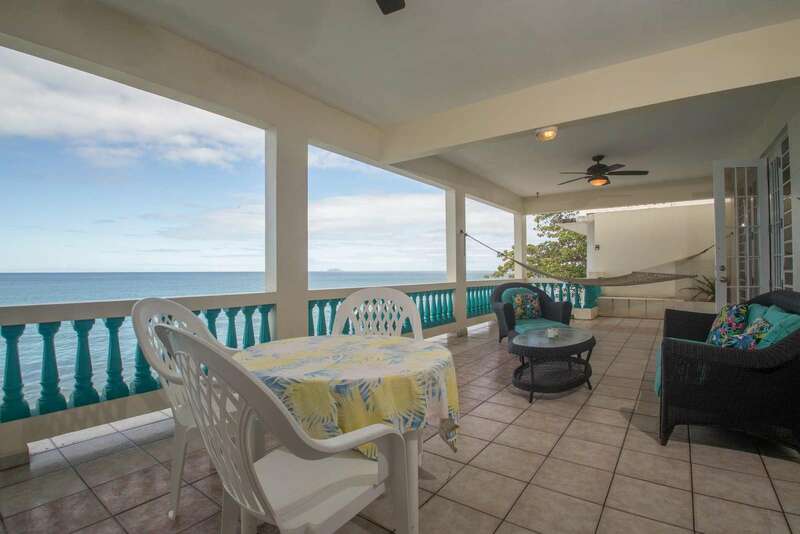 This upper villa opens up to beautiful ocean breezes. 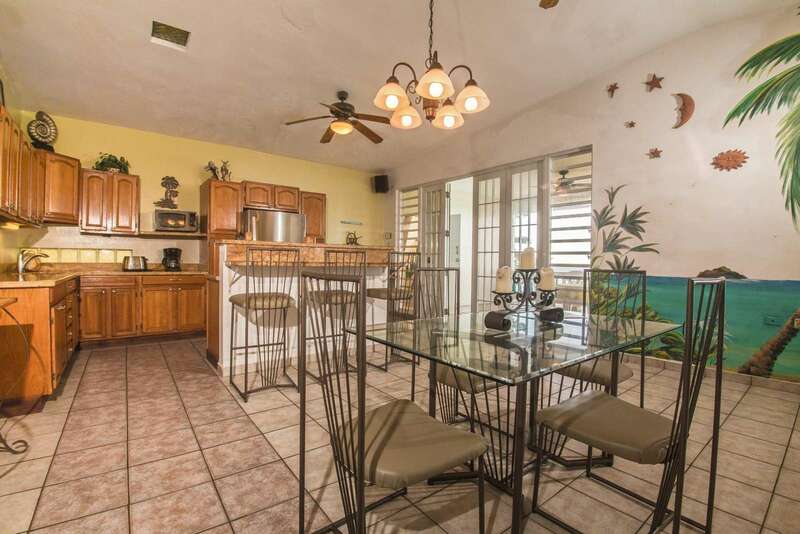 It features two sets of French doors that open into a great room, dining and kitchen area with granite and stainless steel appliances, and cathedral ceilings. 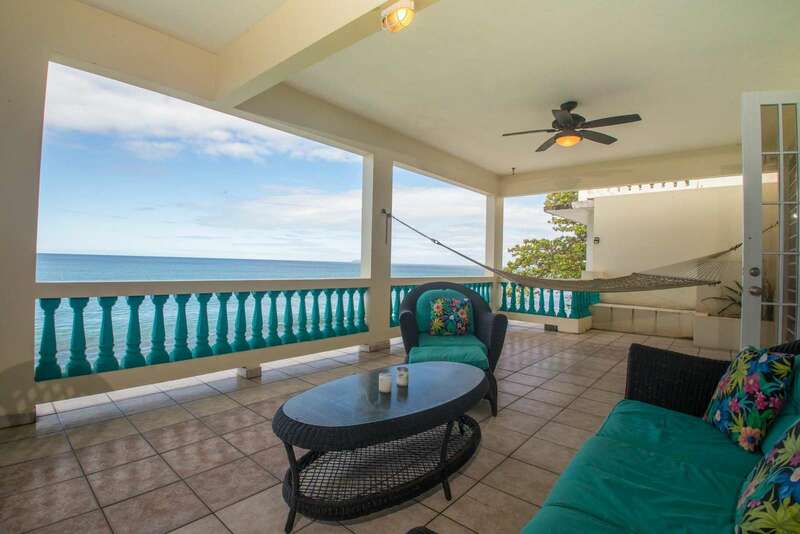 This upper villa opens up to beautiful ocean breezes. 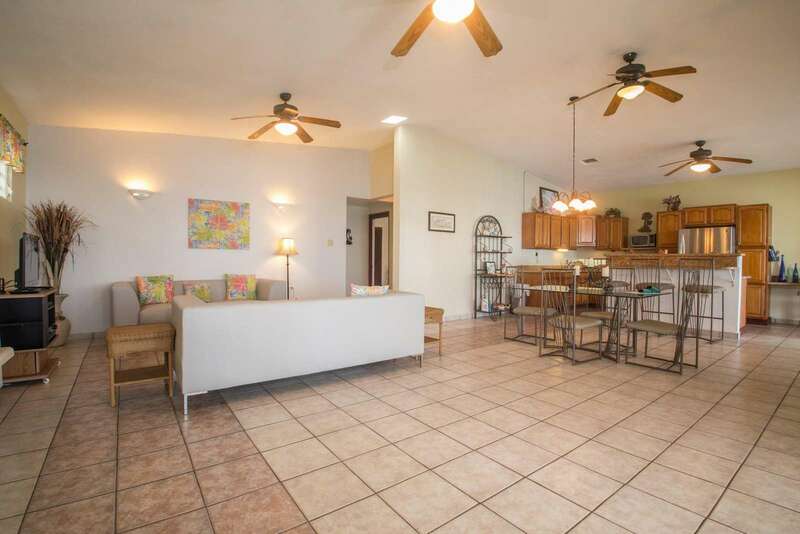 It features two sets of French doors that open into a great room, dining and kitchen area with granite and stainless steel appliances, and cathedral ceilings. 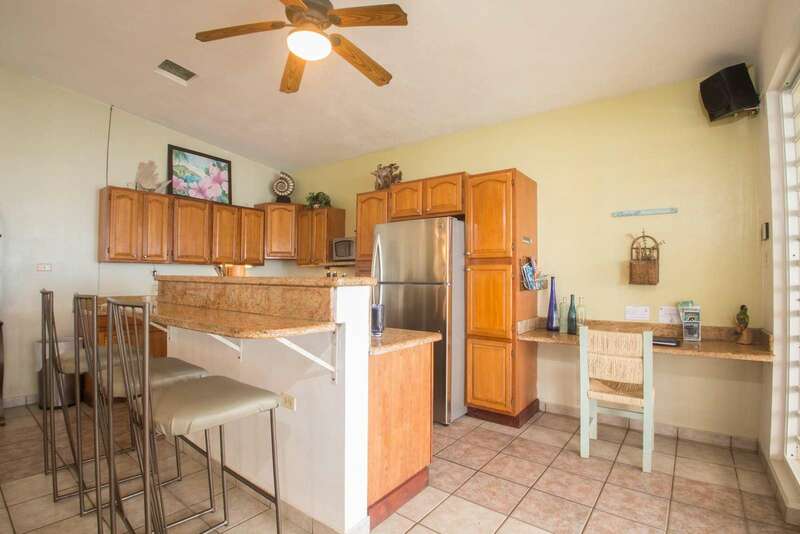 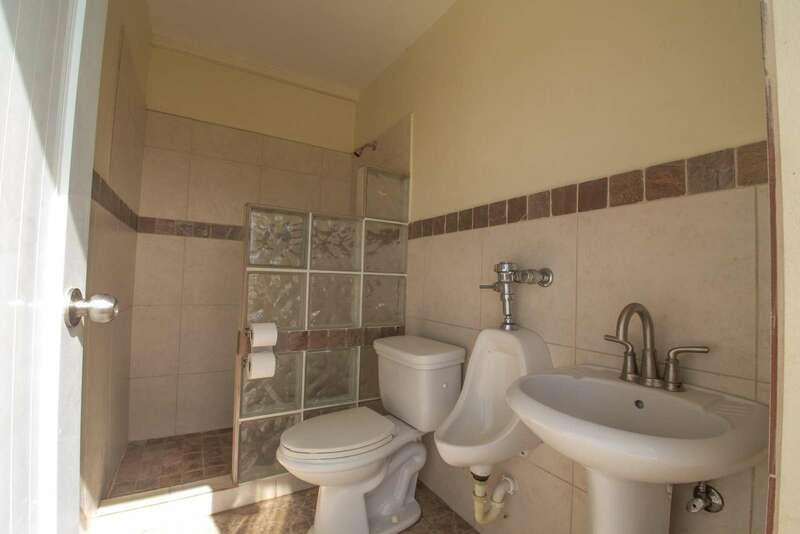 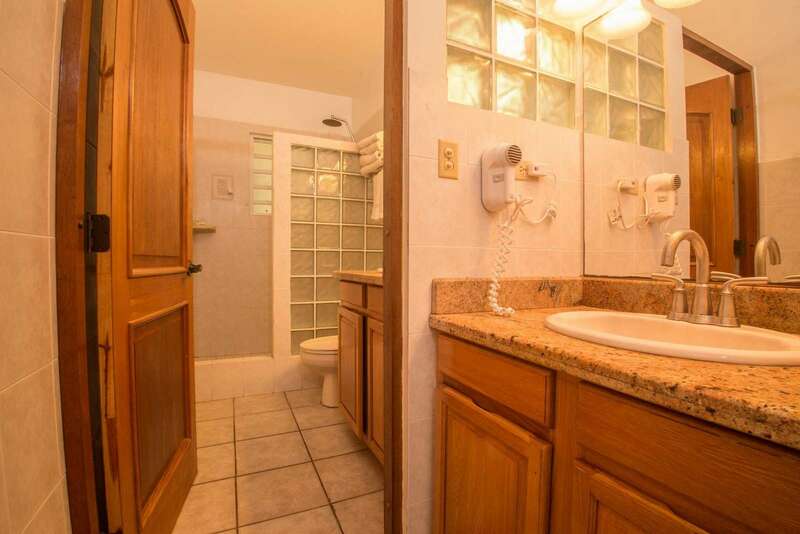 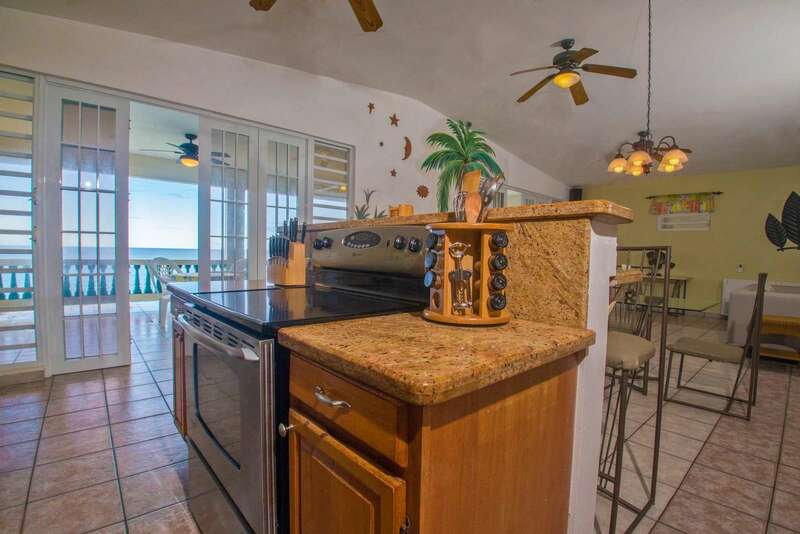 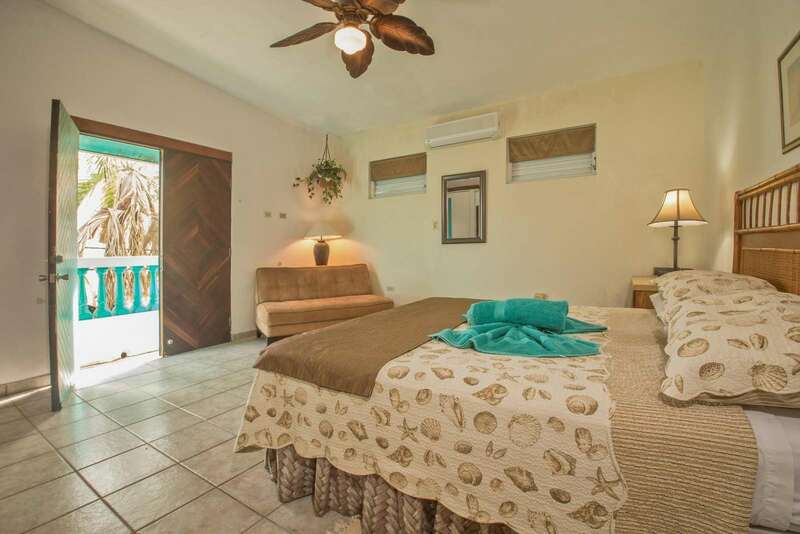 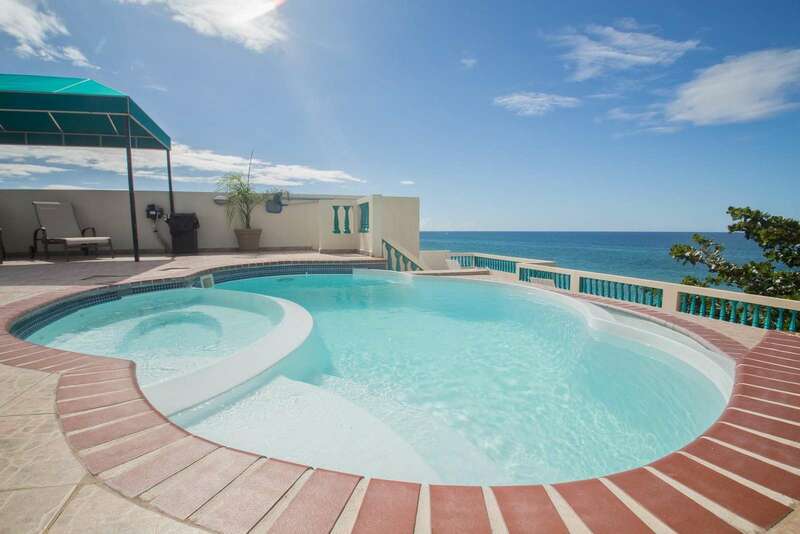 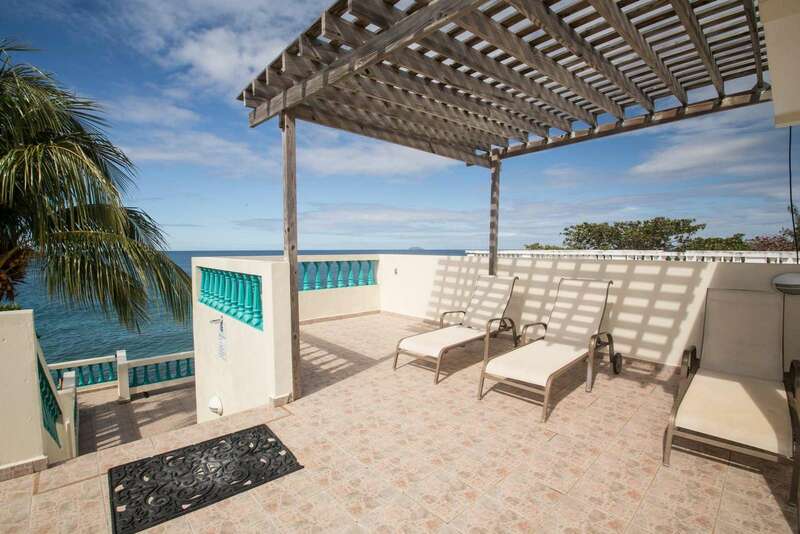 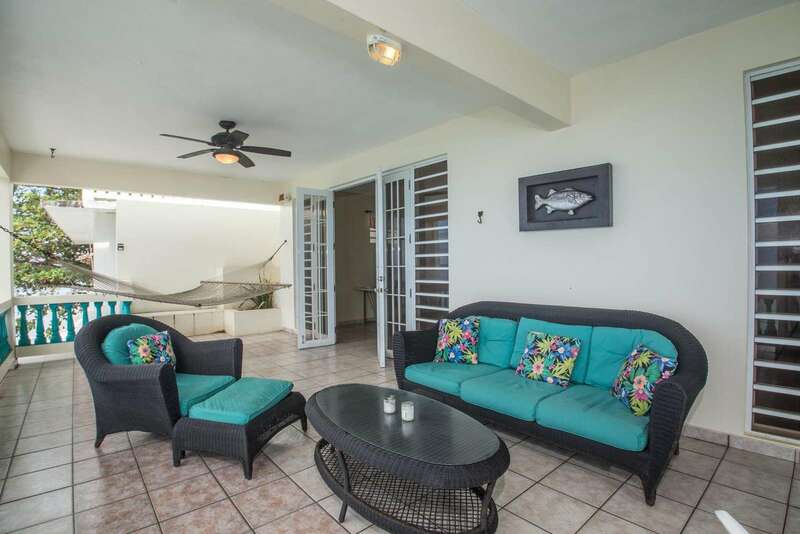 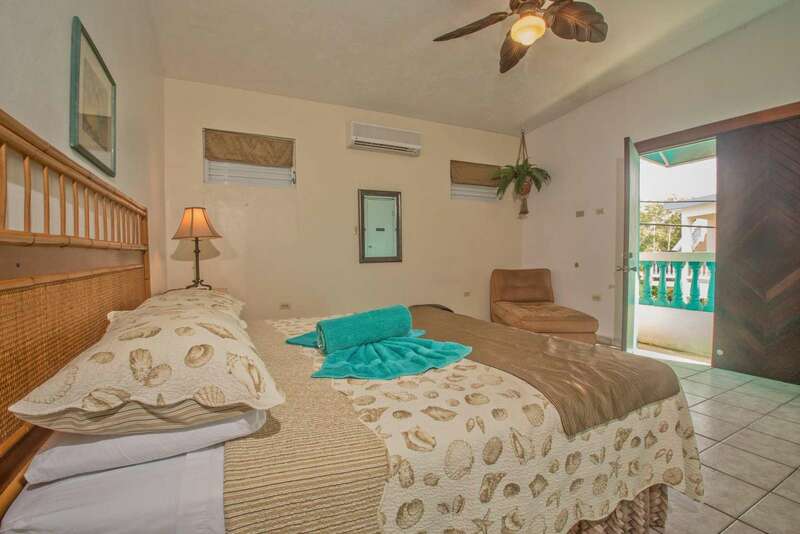 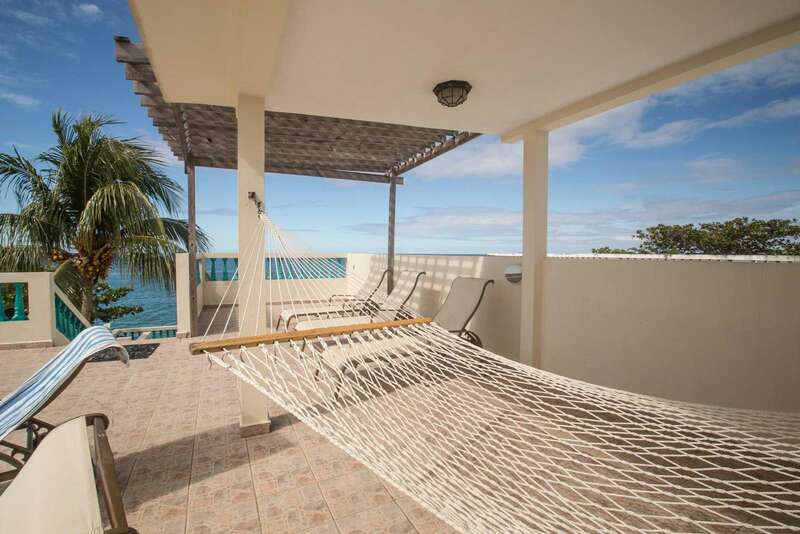 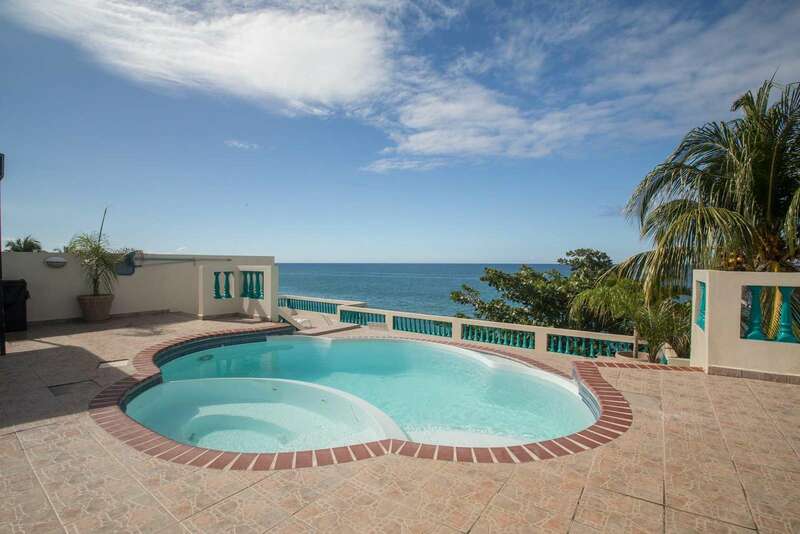 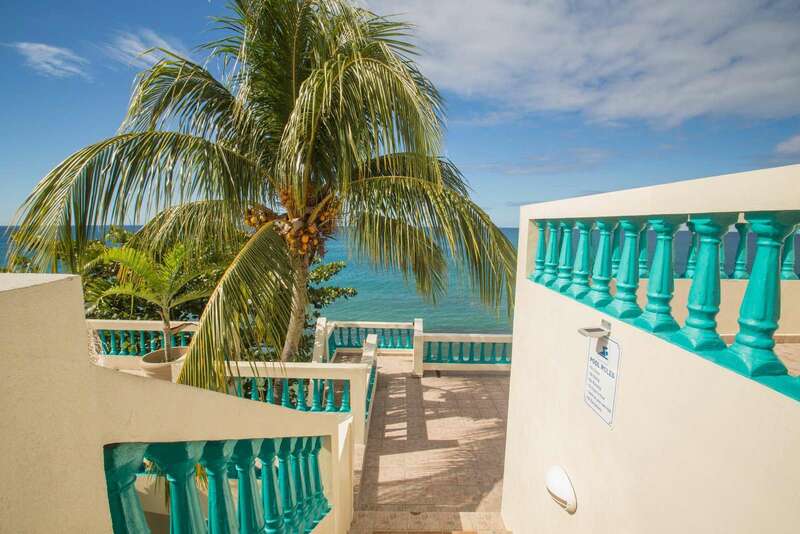 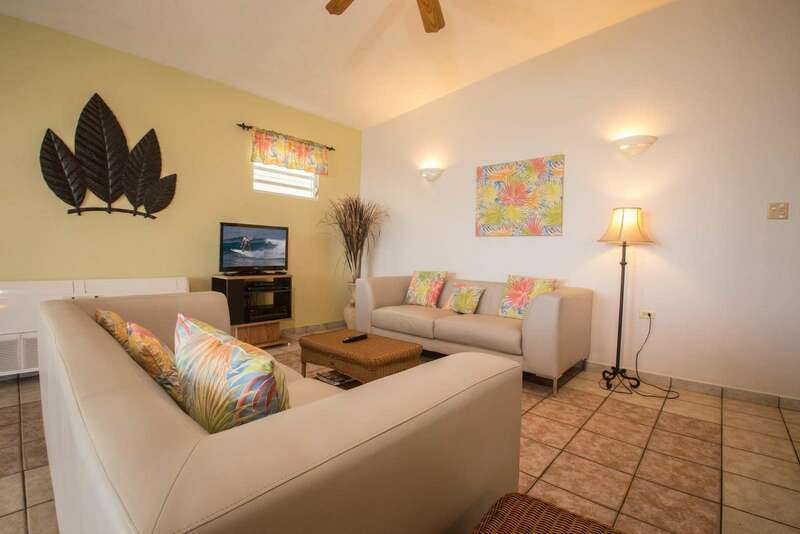 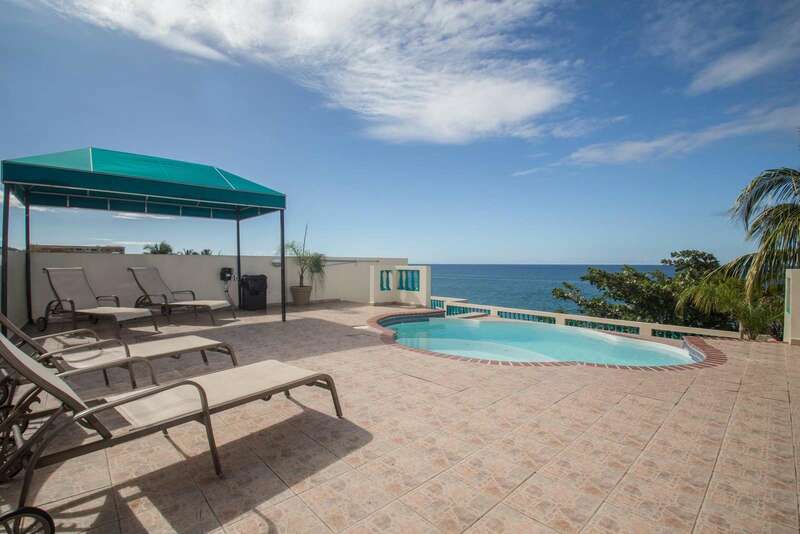 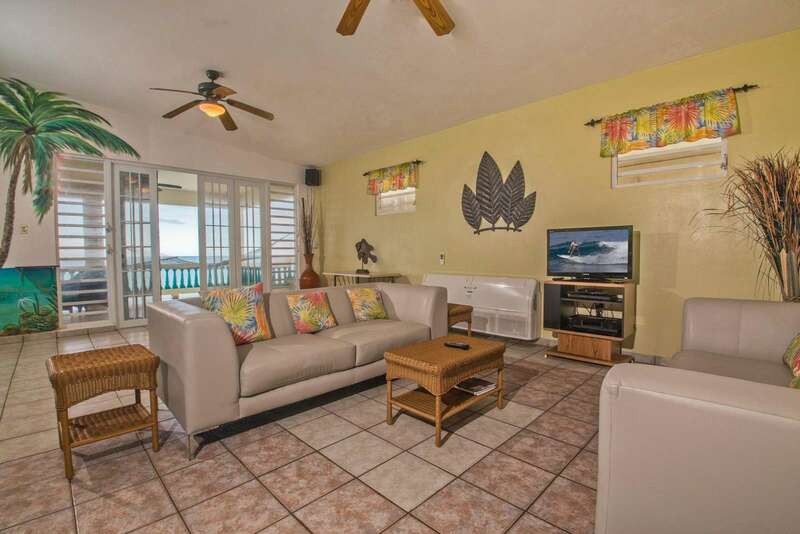 The villa has a private covered patio extending the entire oceanside, extra large bedrooms, a large bathroom complete with full bath and a second sink outside it. 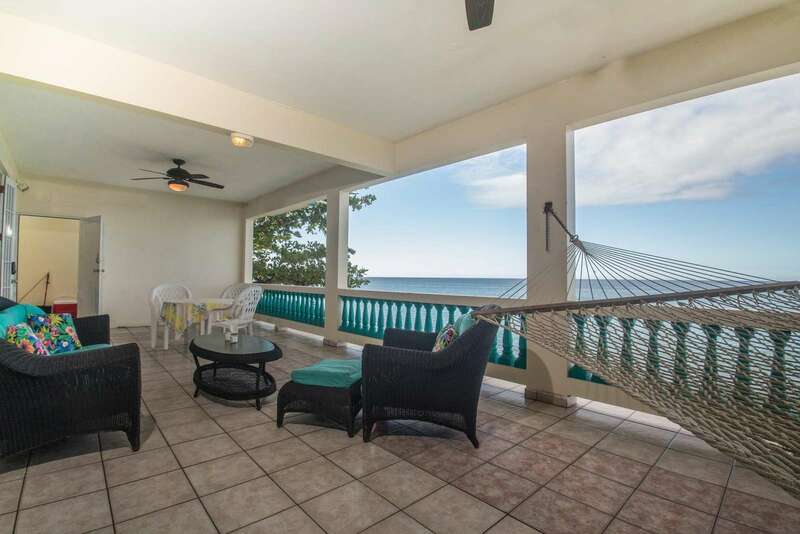 The covered oceanfront patio provides you with a hammock and a table for dining and relaxing. 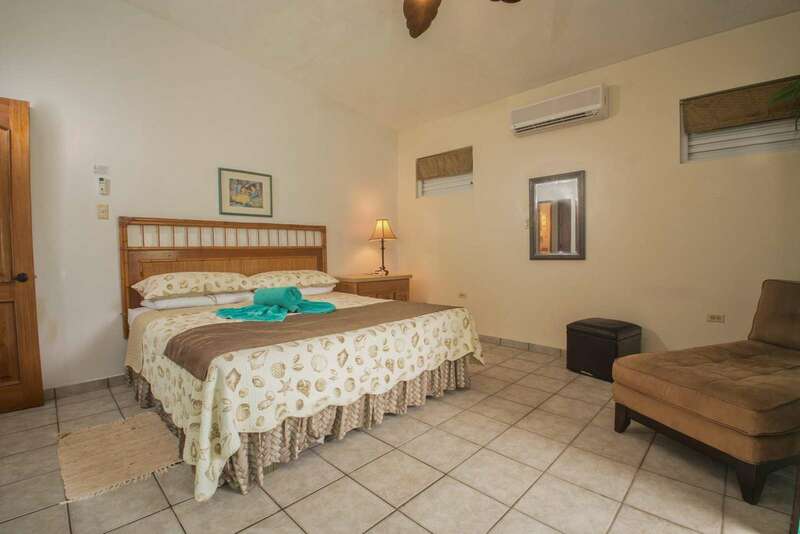 Villa 2 Upper can also have direct access to our spacious, 5 bedroom Villa 3 Upper unit, allowing for the possibility of seven bedrooms a few steps away. 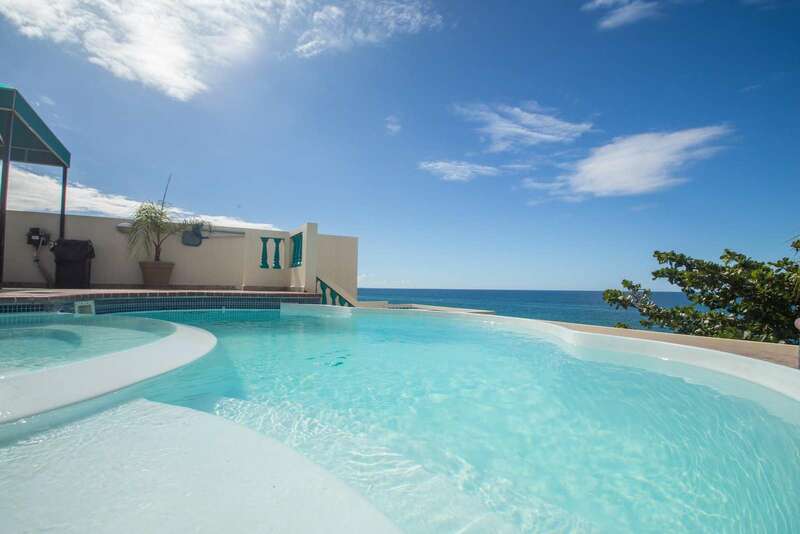 8 private beachfront villas all next to each other and only steps from the ocean’s edge. 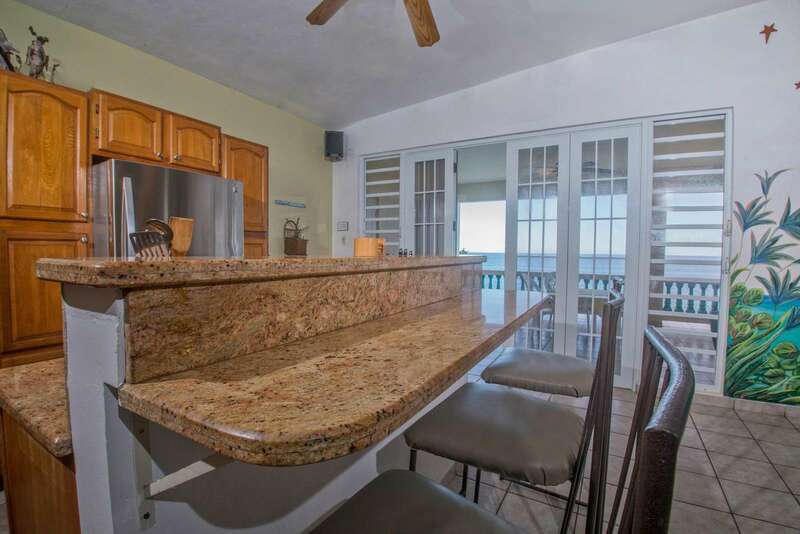 Each villa is completely separate and has it’s own entrance, kitchen, living areas and private ocean front covered patios. 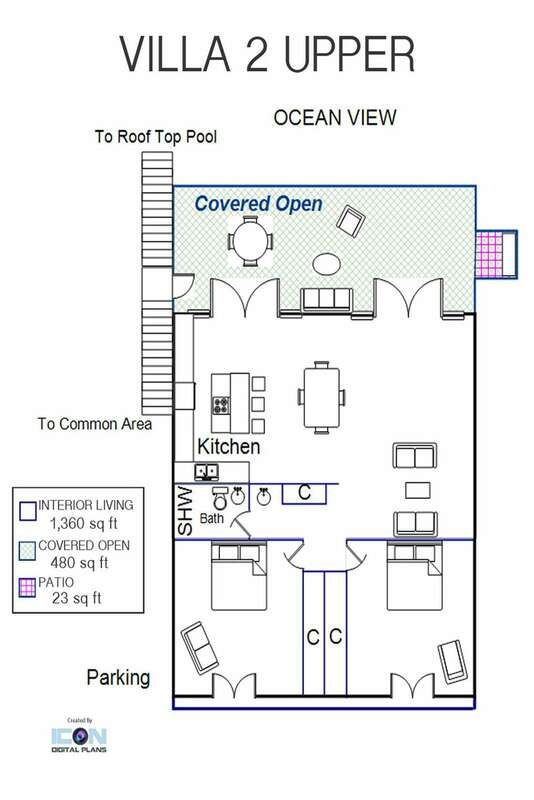 We have approximately 22,000 sq. 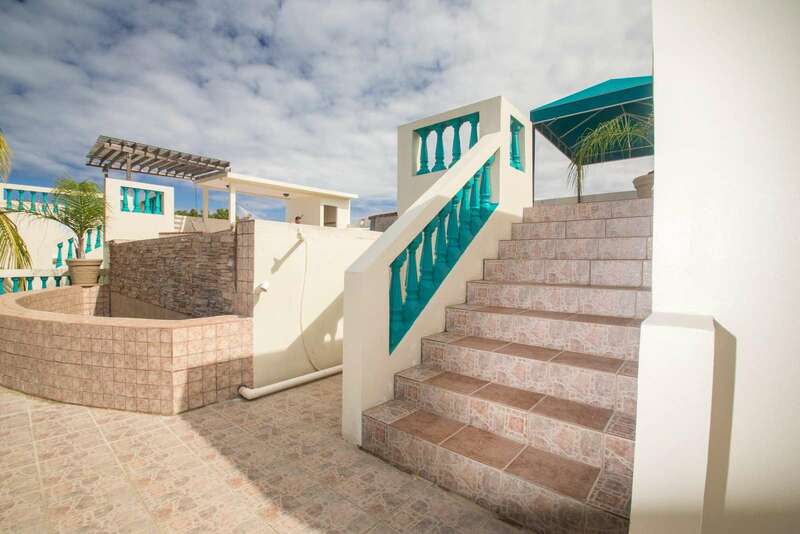 feet of property for large gatherings and events and the largest rooftop pool the area has to offer and villas equipped with resort like amenities.